Situated in Bethlehem, this hotel is within 2 mi (3 km) of Historic Bethlehem Visitor Center, Lehigh University, and SteelStacks. Historic Hotel Bethlehem and Kemerer Museum of Decorative Arts are also within 10 minutes. 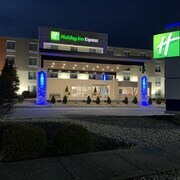 Located in Hanover, this hotel is 3.1 mi (5 km) from Bethlehem Golf Club and within 6 mi (10 km) of PPL Center and Coca-Cola Park. Historic Hotel Bethlehem and Allentown Art Museum are also within 6 mi (10 km). 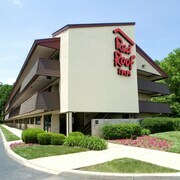 Situated near the airport, this hotel is within 1 mi (2 km) of Da Vinci Science Center and Dorney Park & Wildwater Kingdom. Allentown Fairgrounds is 2.6 mi (4.2 km) away. 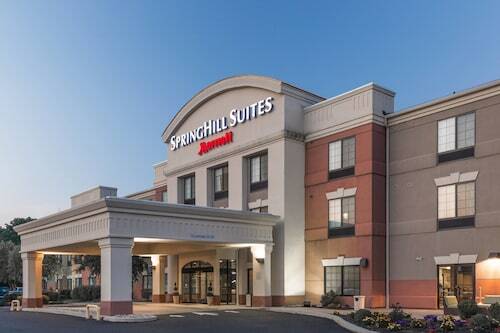 Situated in Bethlehem, this hotel is 1.3 mi (2.1 km) from SteelStacks and 2 mi (3.3 km) from Lehigh University. National Museum of Industrial History and Kemerer Museum of Decorative Arts are also within 3 mi (5 km). Situated on the Strip, this hotel is 1 mi (1.6 km) from Northampton Community College and 2.6 mi (4.1 km) from Dutch Springs Aqua Park. SteelStacks and Bethlehem Golf Club are also within 6 mi (10 km). 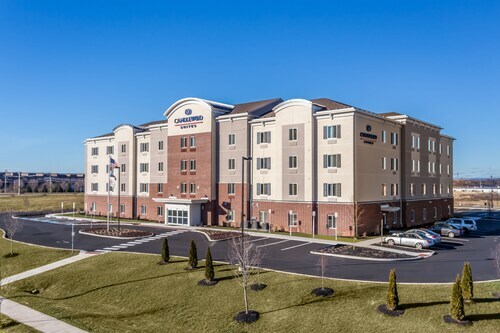 Located in Hanover, this hotel is 1.7 mi (2.7 km) from Coca-Cola Park and 2.8 mi (4.4 km) from Bethlehem Golf Club. Lehigh University and SteelStacks are also within 6 mi (10 km). 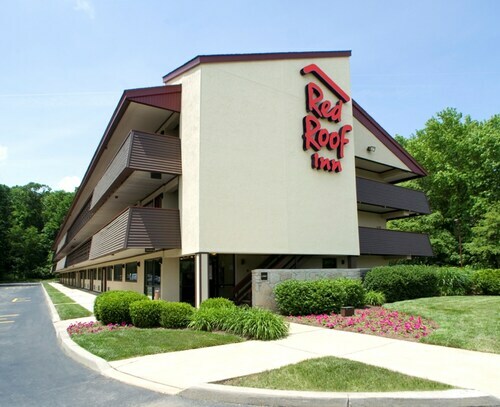 Situated in Allentown, this motel is within 6 mi (10 km) of Dorney Park & Wildwater Kingdom, Cedar Crest College, and Cedar Creek Park. Muhlenberg College and Lehigh University are also within 16 mi (25 km). 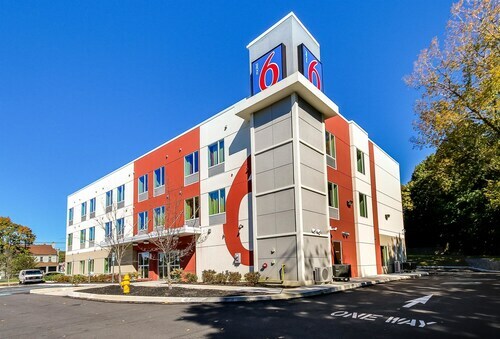 Situated in the business district, this hotel is within 6 mi (10 km) of Dorney Park & Wildwater Kingdom, Allentown Fairgrounds, and Cedar Crest College. Da Vinci Science Center and Cedar Creek Park are also within 6 mi (10 km). This 1922 hotel is a member of Historic Hotels of America and is located on one of the Top 10 Main Streets in the USA. Guests are just steps away from shopping in the heart of historic Moravian Bethlehem. Located in the heart of Bethlehem, this bed & breakfast is within a 15-minute walk of Historic Hotel Bethlehem and Lehigh University. SteelStacks is 1 mi (1.7 km) away. How Much is a Hotel Room in Allentown? 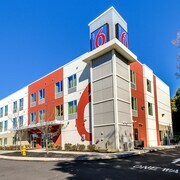 Hotels in Allentown start at $60 per night. Prices and availability subject to change. Additional terms may apply. Allentown is the third-largest city in Pennsylvania, behind only Philadelphia and Pittsburgh. It is conveniently located just 60 miles northwest of Philadelphia and 90 miles west of New York City. The eastern portion of the city lies right along the banks of the Lehigh River, which offers scenic views, along with seasonal swimming and boating opportunities. 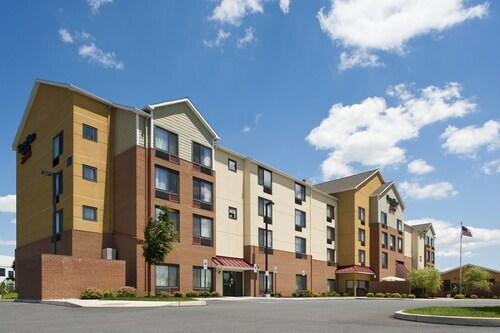 You will find dozens of cheap hotels in Allentown from which you can explore the area. If you are visiting Allentown during the summer months, a trip to the Dorney Park & Wildwater Kingdom amusement park offers a full day of fun. The Allentown Fairgrounds is the location of numerous special events held throughout the year; the largest of which is the Great Allentown Fair held from late August through early September. If you are planning a trip during the winter, the surrounding mountain ridges of the Appalachians offer great skiing opportunities. The city is home to several great museums and cultural venues, such as the Allentown Art Music Symphony Orchestra, the America on Wheels Museum, and the Da Vinci Science Center, which can be toured anytime during the year. 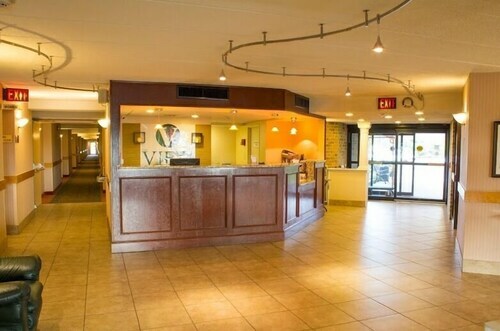 There are also plenty of affordable hotels in Allentown that are close to all the main attractions. Many of the top restaurants are located in the downtown Hamilton District. You will find a variety of cuisine options, ranging from steakhouses to seafood to pizza. With Philadelphia located less than 100 miles away, you will also find several restaurants offering hoagies and Philly cheesesteak sandwiches. The Hamilton District offers an active nightlife with numerous bars, nightclubs, and breweries. When planning your Allentown vacation, Travelocity can help you save money. In fact, Travelocity can help you save up to $537 when you book your flight to Philadelphia and reserve a stay at one of the many very affordable Allentown hotels. Very nice room, comfortable bed and very clean. Would recommend to everyone! Very clean! Nice bed and linens! Great staff! Awesome breakfast!! Loved the room size & amenities it offered. Hotel was clean and staff were very helpful. Jacqueline, the hotel receptionist was very nice and helpful. I had spoken to her over the phone before my visit. Also the young lady attending the breakfast food and beverage was very attentive and pleasant! Loved it all and will tell friends and family about our positive experience! The non secured internet was a problem. Got multiple answers from staff.